Lenny Ciolek, a 34-year veteran of the beverage industry got his start literally fixing breakage at a local distributor and driving a keg truck while in college. After graduation, he joined a distributor as an on-premise sales representative and after only eight months became a supplier representative. Through the years, Ciolek then held a number of other responsibilities including (but not limited to) Regional Manager, Brand Team Director, and National Accounts & Trade Development Director. Ciolek’s extensive experience in the beverage industry kept him up-to-date on trends in markets and sales. While he took part in the Smirnoff Ice launch at Diageo and the trade development of Mike’s Hard Lemonade, he saw consumer trends beginning to shift away from traditional malt beverages and start exploring other options. This combined with the explosion of micro/craft brands had Ciolek looking for what the next possible alternative “hot” category might be. Though cider had a very small base, he could sense the opportunities after seeing continued growth with very little competition. At the same time, Ciolek experienced the passing of his brother-in-law (who was 43) to brain cancer. While trying to create a unique niche alcoholic brand and also find a way to immortalize his brother-in-law, Ciolek developed a hard cider brand and named it after his brother-in-law… McKenzie’s Hard Cider. Now, the cider only needed to brew. Ciolek always loved cider and was particularly fond of Mayer Brothers Cider. He would always insist his mom and wife, Julie, to only buy Mayer Brothers products. 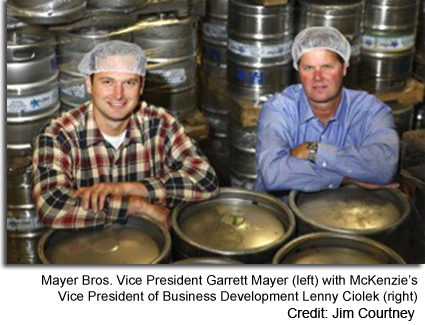 With the Mayer Brothers farm located literally down the street from where he lives, Ciolek decided to reach out to the Mayers to see if perhaps they would be interested in helping develop the McKenzie’s Hard Cider line. When the Mayers agreed and a partnership was formed, McKenzie’s was officially born. 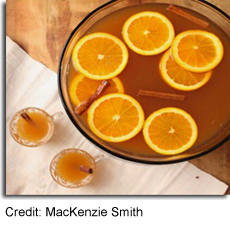 In the spirit of the season, McKenzie’s has also produced a “Seasonal Reserve” hard cider which incorporates cinnamon and nutmeg. 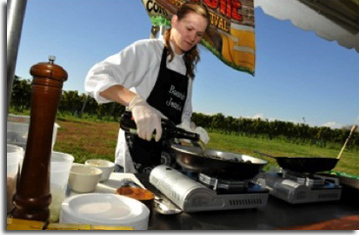 Just recently, McKenzie’s Black Cherry won “double gold” at the 27th Annual Wine and Food Classic held in Watkins Glen, NY. McKenzie’s was also the “third highest overall rated product in the competition” and received silver medals for their Original and Green Apple hard ciders. For more information about McKenzie’s Hard Cider or to find McKenzie’s products near you, please visit their website McKenziesBeverages.com. McKenzie’s is located at 3300 Transit Road, West Seneca, NY 14224. A new cider maker based in Stevens Point, Wisconsin introduced its family of hard ciders statewide and will be distributing to other states in the near future. The gluten-free hard ciders are available in six-packs of 12 oz. bottles and can also be found at bars, taverns and restaurants on draft. Ciderboys hard ciders are made from juice of Washington State apples. The juice is then fermented at cool temperatures in stainless steel tanks. 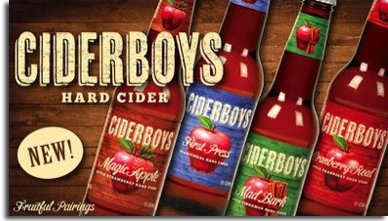 Ciderboys uses a special hard-cider yeast imported from France to set their cider apart from others. To make the flavored ciders such as Cranberry Road and Magic Apple, the cider makers blend cranberry and strawberry juice in with the fermented apple juice. While on the other hand, to make Mad Bark, they boil more than 100 lbs. of natural cinnamon sticks and blend the resulting extract into the cider before fermentation. No sugar is added to any of the products, which are naturally gluten-free. For more information, visit the Ciderboys Cider Company website at Ciderboys.com. Ciderboys is located at 2617 Water Street in Stevens Point, WI 54481. 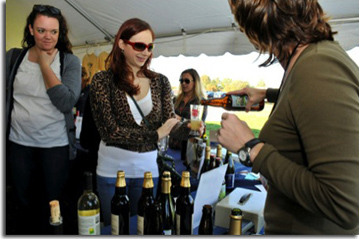 On October 20th at Peconic Bay Winery on Long Island the first-ever, Pour The Core: Hard Cider Festival was held with more than 700 people in attendance. 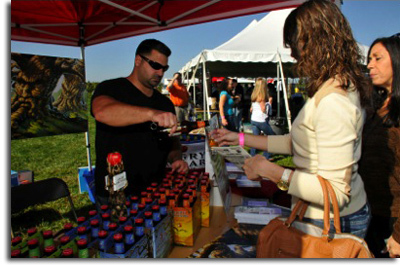 The sold-out festival offered more than 30 local, regional and international hard ciders for sampling in addition to three local breweries – Blue Point Brewing Company, Port Jeff Brewing Company and Long Ireland Beer Company – and a small selection of Long Island wineries. Additional information (including Jessica Geremina’s hard cider cocktail recipes) about Pour The Core can be found on the event website, PourTheCore.com. All photos from the event are courtesy of Karl Mischler. 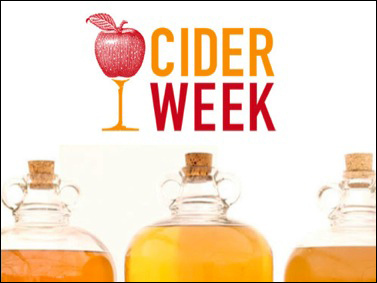 At this year’s 2nd Annual Cider Week: NYC & Hudson Valley from October 12-21, m ore than 180 restaurants, shops, bars and markets in the two regions celebrated the Hard Cider Revival by featuring regional, orchard-based hard ciders through special tastings, flights, events, pairings and classes in order to build awareness and appreciation for hard cider. Hard cider was an American tradition until the early 20th century, when it was lost to Prohibition and Urbanization. Regional cider makers across the country and in the Northeast are now spearheading the comeback of distinctive, American, orchard-based libations. Matthew Critz started farming in the Christmas tree business and then purchased a 125-acre dairy farm in 1985 with the goal to create a “choose and cut” tree farm. With his wife, Juanita, Critz Farms gradually transformed into a 325-acre agri-tourism destination and farm winery with crops/products including Christmas trees, wreaths, maple syrup, pumpkins, apples, blueberries, sweet apple cider and hard cider. Hard cider was a natural progression from sweet cider for the Critz family since customers showed an interest. 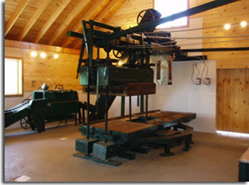 Critz started in the business by teaching himself the process of hard-cider production on the family owned 125-year-old four-screw cider press. 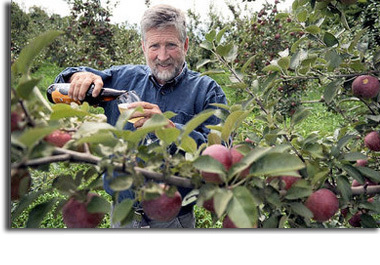 With an apple orchard already on the farm and practice, since 2007, with making sweet cider, Critz and his wife had everything they needed to get started in the hard cider business with the right foot forward. Together, they only needed to work on the fermentation and development of unique recipes with interesting flavor profiles. As you can see above, most of the unique flavor profiles created with juices or syrups are blended into the hard cider versus fermented with the actual fruit. 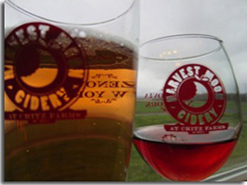 Critz and his wife decided to blend their hard cider with juices after fermentation because they found that much of the fruit flavor they loved was lost with fermentation. Photos courtesy of Juanita Critz. Critz’s right combination of Cortland, MacIntosh, Macoun, and Empire apples to produce his hard cider has earned him several medals in competitions including Double Gold and Best in Class for Maple Moon Hard Cider at the Indy International Wine Competition earlier this year. 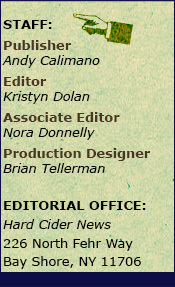 For more information about Harvest Moon Cidery, please visit HarvestMoonCidery.com. You can visit them conveniently located at 3232 Rippleton Road (aka. State Route 13), south of the NYS Route 20 Scenic Byway, in the town of Cazenovia, NY 13035. Daily’s Cocktails, the manufacturer of the original frozen pouch cocktail, is encouraging consumers to extend the flavorful fun into new seasons by introducing two new pouch cocktails, Spiced Sangria and Hard Cider, for the fall. Both new pouch flavors may be enjoyed warm, chilled or frozen. The pouches are the latest additions to the wide variety of Daily’s frozen pouch cocktails, which include Margarita, Strawberry Daiquiri, Pina Colada, Peach Daiquiri, Pomegranate Margarita, Lemonade, and Light Strawberry Margarita. The seasonal flavors of Spiced Sangria and Hard Cider, became available October 1st and will be available for a limited time only in limited release. 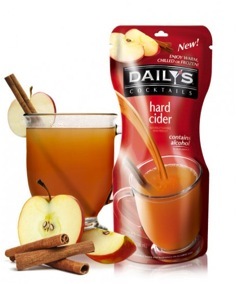 Daily’s Hard Cider will satisfy apple lovers everywhere with intense natural apple flavor and just the right amount of cinnamon and seasonal spices for a perfect crisp autumn evening. 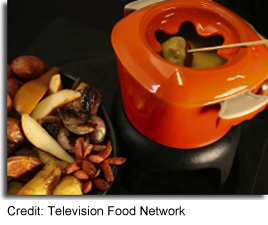 And, because the pouches can be enjoyed warm (in addition to the traditional methods of chilled or frozen); they are a perfect treat for those cool evenings. For more information about Daily’s Cocktails, please visit DailysCocktails.com.